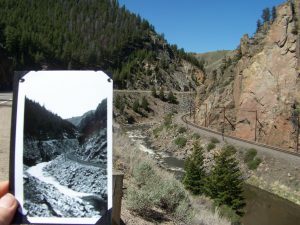 May 10, day 9 – Today was a 300+ mile travel day from Idaho Springs CO to Vernal Utah (about 15 miles across the Colorado border). Our route was Highway 40 and took about eight hours with stops. 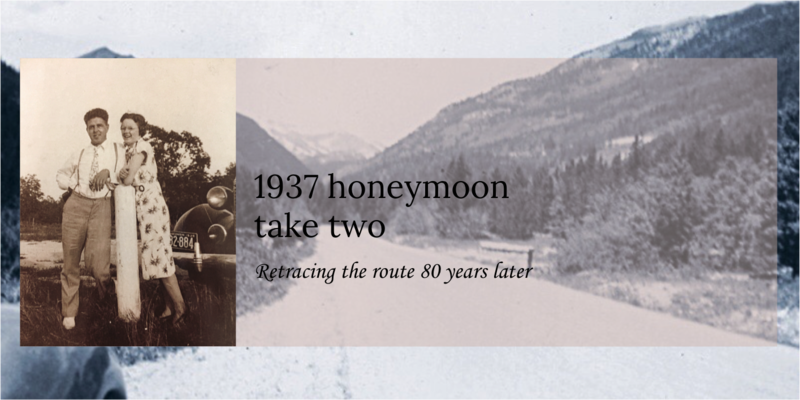 It was confirmed that Earl and Ethel used Highway 40 to reach Salt Lake City only this spring. We got great help from Frank Brusca who maintains a website called “Route40.net.” The website is dedicated just to this highway and is chuck full of information. US 40 was authorized as a transcontinental highway in the 1920’s. It has much deeper roots as the original “National Road.” for a very young United States. Originally authorized by Thomas Jefferson in 1806 it ran from Baltimore, MY to Vandalia, IL when it was completed. Frank Busca knew immediately that one of Earl and Ethel’s was of Byers Canyon. The eight-mile long gorge was cut by the same Colorado River that formed the Grand Canyon. There is barely enough room in the canyon for the river, a Union Pacific railroad track and the highway! Hearing that confirmation, we were able to connect the dots between Idaho Springs and Salt Lake City, Utah. 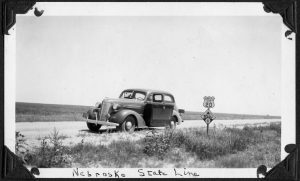 No other highway traveled that route in 1937. 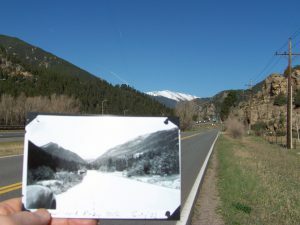 Frank also identified the location of a photo with labeled only “Snow Capped Rocky Mountains” as being taken just west Idaho Springs. The Google Street view link he provided was right on the money. The photo we took was a little nearer to Idaho Springs, but safer for us than pulling off on I-70 which overlaps Highway 30 in this area. 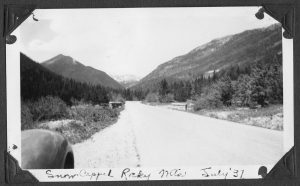 We are fairly certain that Earl and Ethel camped in Dumont Park near Rabbit Ears Pass. 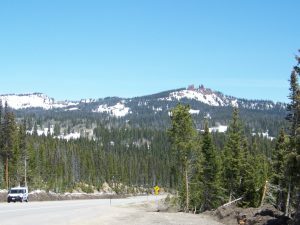 It is one of three places that Highway 40 crosses the continental divide. One of their photos indicated they were at that crossing point and the pine trees are a better match than at the other crossings. 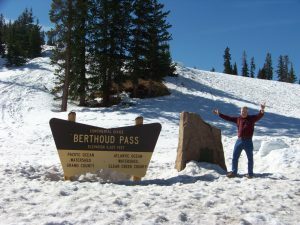 Berthod Pass is the first divide that we crossed. 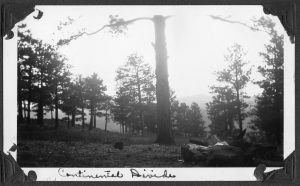 Another photo they took there was of Ethel with their 37 Chevy (the photo we used on the May 2 blog “A Sentimental Journey.”) At 11,307 Feet, it is near the tree line and pines are sparse. We couldn’t get into the camp area at Dumont. The access road is still covered by 4-feet of snow that is not expected to melt until mid-June when the campground will open. We traveled over The same pass in 1953 on our honeymoon. Thanks for sharing your memory Arbutus.